The Via Appia Antica, or Appian Way is one of the oldest roads of Rome and served as an important access road into the city. Metro The metro stops are not close. The Circo Massimo stop is 1.5 km from the Porta San Sebastiano starting point. If you would like to take a long walk on the Via Appia, you could, for example, take the metro stop Arco Di Travertino back. This walk is a total of 8 kilometers. Bus 118 from the Colosseum or from Piazza Venezia (3x per hour). This bus runs over a part of the Via Appia with, among other things, a stop at the catacombs of San Callisto. Hop on hop off bus: Get off at the Baths of Caracalla and walk about 800 meters. Bike The easiest way to visit Via Appia is by bike. Hire a bike yourself or join this organized guided bike tour. Extra On Sundays the road is closed for motorized traffic. The Via Appia Antica is one of the oldest roads of Rome and served as an important access road into the city. Originally, the road ran all the way to Brundisium, present-day Brindisi in the heel of Italy. 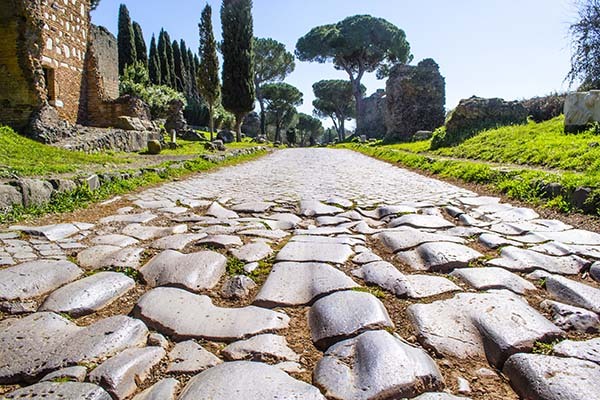 The cobbled road was named after consul Appius Claudius Caecus who commissioned its construction in 312 BCE. The main goal back then was to move troops more quickly during the Second Samnite War, but also to facilitate day-to-day transport of goods between Rome and Campania. The paved stone road is nicknamed ‘regina viarium’; queen of the roads. That is because of how important the road was, but also because of the beauty of the landscape the Via Appia traverses. Part of the road (starting at the Cecelia Metella funerary monument) still has the old paving stones that clearly show the wear of the carriage tracks. The Via Appia Antica has an almost romantic feel with the green cypresses and many ruins that line the cobblestone way. In Rome, the Via Appia starts at the Porta San Sebastiano. The first milestone can be seen to your right, now part of a wall. These milestones do not just mention the distances and destinations, but also the main person who ordered its construction. A little further and you will see the church ‘Domine Quo Vadis’. Tradition has it that Jesus once met Peter here. Peter was fleeing Rome at the time, but returned after he met with Jesus. The church even has a stone that is purported to hold Jesus' footprint. After that you will come across a number of catacombes and tombs. Because it was forbidden to bury the dead within the city walls in Roman times, several burial sites were built along the main roads. One of these subterranean burial sites (catacombs of San Callisto) can be visited with a tour; it holds over 170,000 graves. Another well-known catacomb is that of Saint Sebastian, which can be reached through the church Basilica di San Sebastiano. 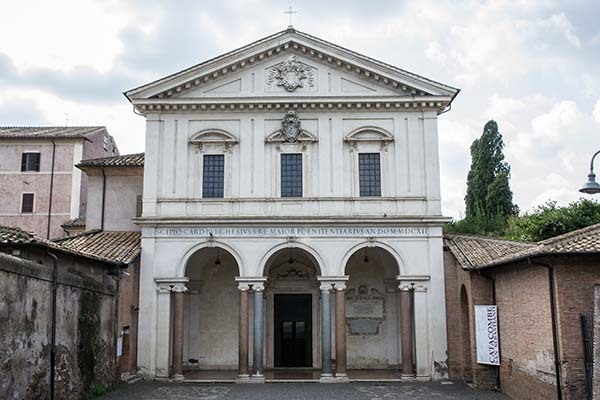 This is one of the seven important pilgrimage churches of Rome. After about two kilometres, you will reach the best-preserved stretch of the Via Appia. Here you can also see the remains of the Circus of Maxentius, an ancient racetrack. The obelisk that originally stood in front of the circus was moved to Piazza Navona. From this spot, you see an increasing number of tombs, probably because they were cheaper the farther they were from the city. The most famous and largest of the tombs is that of Cecilia Metella, about five kilometres outside the city. She was the daughter of an important general under emperor Caesar (Tip: Are you also planning to visit the Baths of Caracalla? This combination ticket also gives you access to this tomb. The tomb is closed on Mondays). If you go even further, you will find Villa Quintili. It used to be a very luxurious villa and residence for emperor Commodus who preferred a quiet life in the countryside (Tip: Are you also planning to visit the Baths of Caracalla? This combination ticket also gives you access to Villa Quintili. This villa is closed on Mondays). As the interesting part of the Via Appia or Appian Way stretches many kilometres, hiking is perhaps not the best way to explore the road. We recommend taking a guided tour by bicycle. 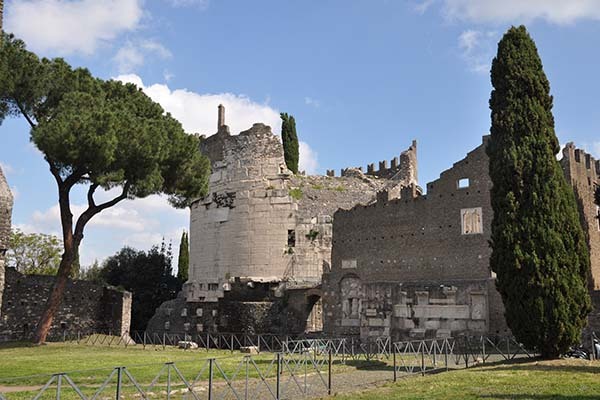 You can book a Via Appia Tour Here that takes you past all the highlights of the Appian Way in a three-hour guided tour. 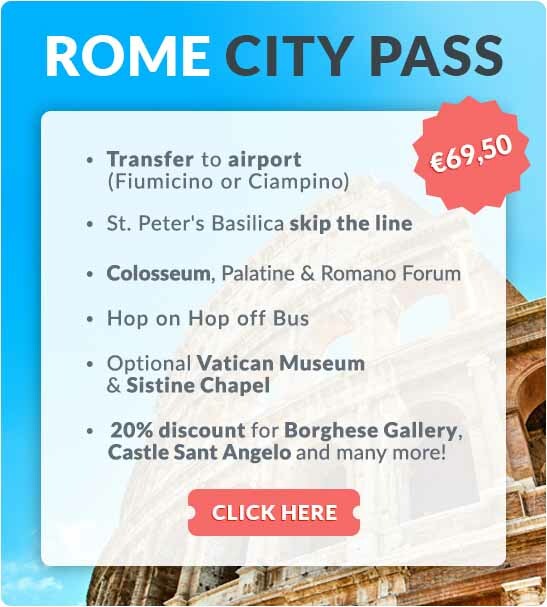 The tours depart from the center of Rome (Via Cavour, near the Colosseum) and must be reserved in advance. Where is the Appian Way located in Rome? 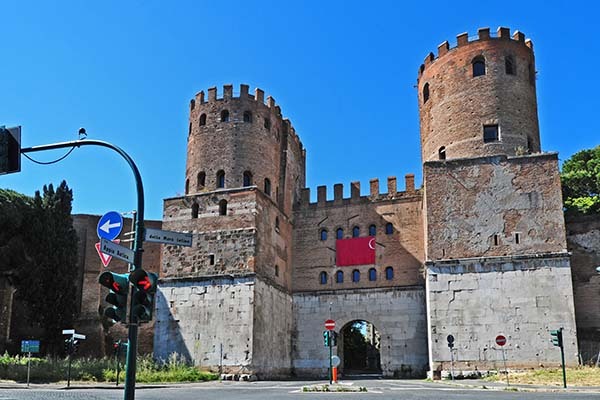 The starting point for a visit to Via Appia is the Porta San Sebastiano. From here you travel further and further from the center of Rome.